WHY buy plastic wreaths when you can make one from pantry staples like herbs and spices? Not only do they look stunning, they smell amazing too, and are bound to be the conversation starter of any party. This Christmas, raid your kitchen and garden for some leftover supplies and get your creative juices working. 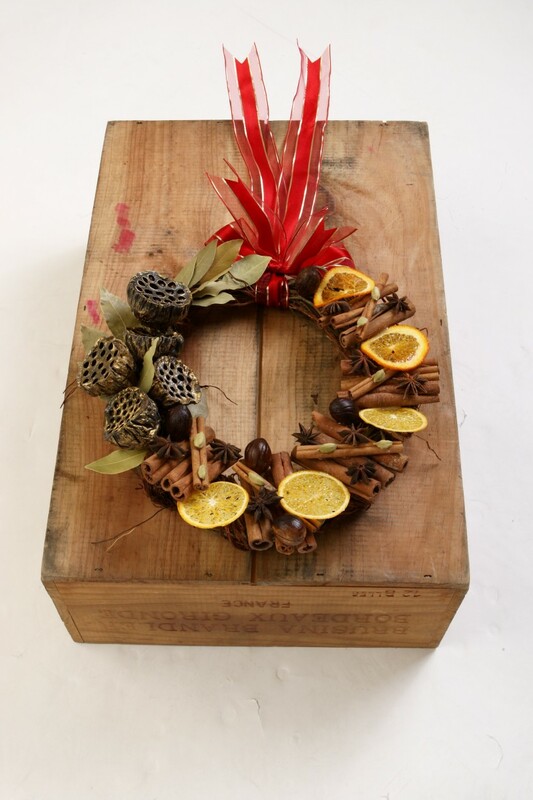 Here are two DIY wreaths by Brenda James to get you started. Form the base of the wreath using soft roots or grapevine (you can get this from most garden supply stores, or purchase a ready-made one). Use pieces of soft florist wire to secure the ends and maintain the circular shape of the wreath. Lay the base on a flat surface, then place the spices and dried lotus pods in their desired placements. Once you’re satisfied with the design, secure them with florist wire or hot glue (depending on the item). Work in segments, layering as you progress; the idea is to create a balanced design. The general rule is to have heavier and longer pieces at the bottom, while more delicate spices go on top. Let everything dry thoroughly before you move the wreath. Finish with a festive bow. Form the base (see lotus and spice wreath). Rinse and dry an assortment of herbs (whole stalks). Tuck the stems into the wreath’s frame. Do this until wreath is covered. Ideally, layer soft-stemmed herbs (like rosemary) atop the wood-stemmed ones. Also, keeping the stems pointed in the same direction gives the wreath a nice shape. 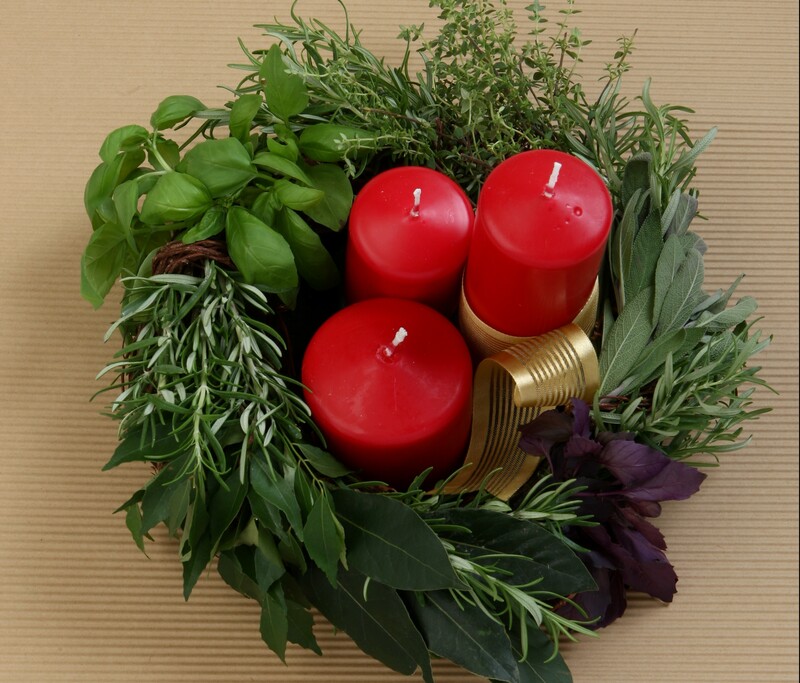 There are no rules, so add as many herbs as you like; depending on how full you would like the wreath to be. As this is a table wreath, place it on a flat platter in the middle of the table and add candles, or Christmas decorations to your fancy. Brenda is from Nook Flowers (Facebook: Nook Flowers). This article was first published in Flavours magazine.